There’s something about green beans and the holiday season that just go together. We bake them in casseroles for Thanksgiving, and then make them again for Christmas. In my family, we also make them a few times a week between Thanksgiving and Christmas not only because my family loves them, but because they’re almost always on sale through the holiday season. My family isn’t huge on leftovers, so by day 3, all the Thanksgiving leftovers get tossed to our very grateful Chocolate Lab’s food bowl. The only thing I spare is the turkey and cranberry sauce for our lunch sandwiches. So the Monday after Thanksgiving is a grocery shopping day for me. But the good news is all those Thanksgiving ingredients are still on sale – fresh green beans, sweet potatoes, cranberries and loads of apples. I try to put aside my thoughts of the traditional creamy casseroles those vegetables are usually baked in for Thanksgiving, and try and think of them in fresh flavorful new recipes instead. For the green beans I picked up today, I decided to cook them in one of my favorite ways – by roasting them in the oven. Roasting brings out the most delicious nutty flavors in vegetables. It’s also an excellent trick to help out younger (or older) picky eaters. For even more flavor, I added Parmesan and Hidden Valley Ranch seasoning mix. Oh yeah, and bacon, because it’s the holidays. If our trying to watch your calories (like I should be doing) skip the bacon and it’s tantalizing drippings, and opt for slivered almonds and olive oil. For your pickiest eaters, serve these with a small bowl of Hidden Valley Ranch dressing for dipping. There’s no way they’ll be able to resist them that way. Heat oven to 425°. Combine green beans with bacon drippings, Parmesan cheese and Hidden Valley Ranch seasoning and salad dressing mix. Toss to combine. Bake for 10 - 15 minutes, or until deep green and tender crisp. For a richer, nuttier flavor, continue to cook for an additional 5 - 10 minutes. The color of the beans will look like the photo below. The below photo has green beans cooked a little longer. These are not as crisp, but are much more flavorful. I like these, but my family prefers the crunchier ones above. This post sponsored by Hidden Valley Ranch (a brand my family and I have loved and purchased regularly ever since I can remember), all opinions 100% my own. 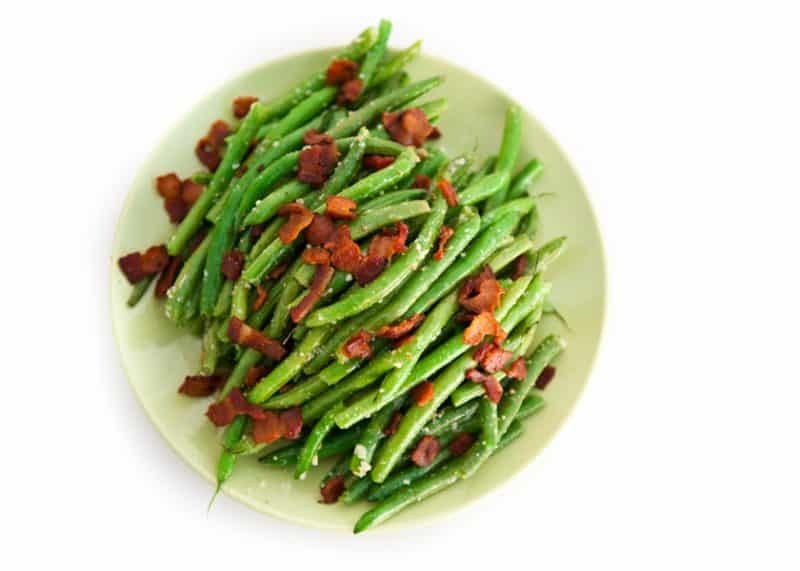 I just love green beans prepared with integrity such as this recipe. Thanks and pinned too. 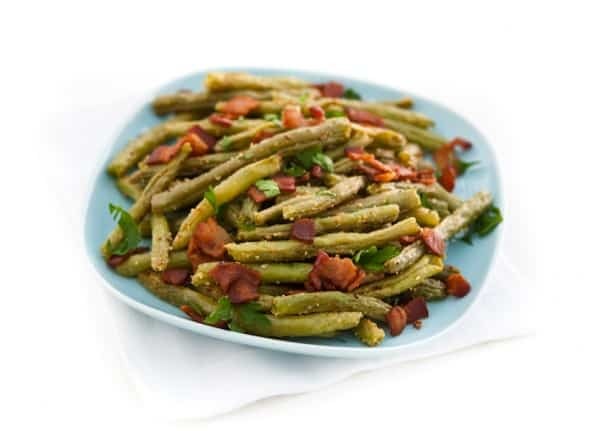 A person can never have too many ways to eat green beans, love them!! This looks like a recipe my family would really like, thanks! 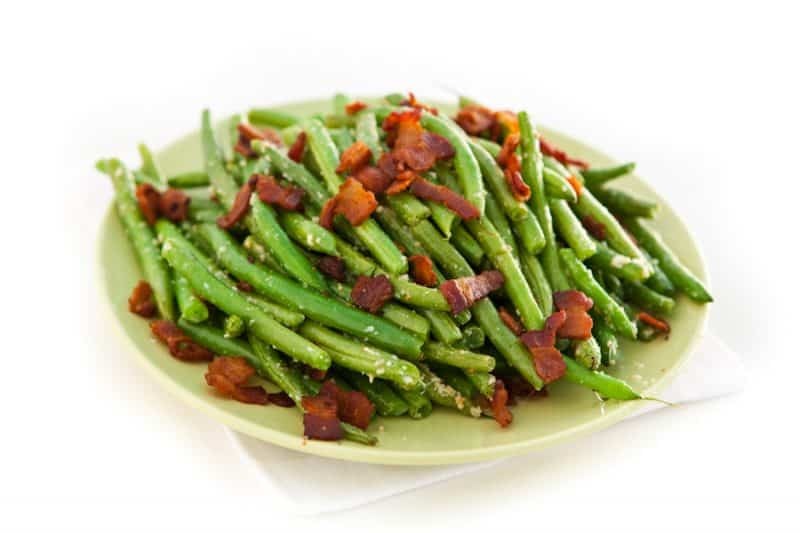 Green beans are at the top of my list of favorites, we love Hidden Valley around here too! That’s gotta be one happy dog! Love these beans – in all their glory. 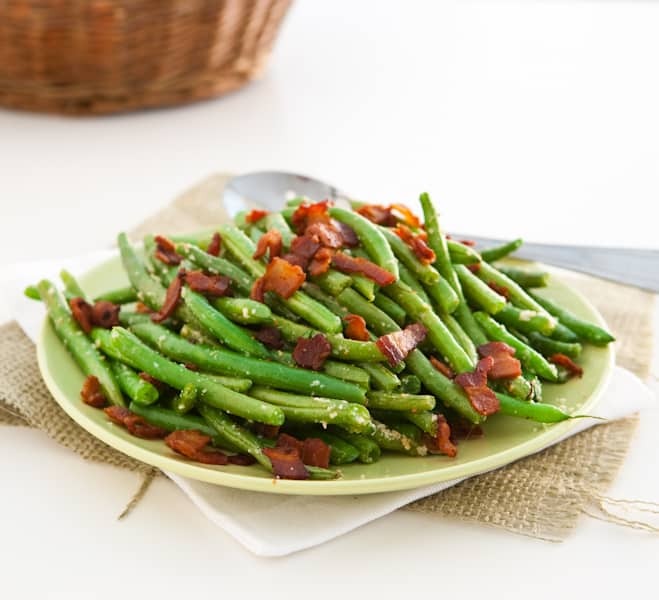 Green beans never looked so good. Thank you for the recipe, i will definitely try this one, i love green beans and i always have to direct bargains to my younger sister to prepare me one. Its time to get the party started! !